Folha.com says the news was revealed by São Paulo's Secretary of Planning and Development of the State, Julio Semeghini. He said the five factories, which are in addition to the one already believed to be turning out iPads and iPhones, will each staff roughly 1000 workers. In addition to helping supply Apple with iPads, the factories will be tooled for notebook and general electronics production. Officials from Foxconn and the Brazilian government will reportedly meet following the Chinese New Year to decide on where the factories will be built, but São Paulo is said to be pushing heavily for the investment. Foxconn already receives tax breaks for producing tablets in the region. Last week, the Brazilian government approved tax reductions or exemptions that cleared the way for the company to begin producing iPads in the country. The new Inter-Ministerial Decree 34 specifically states that companies investing in the research and development of keyboardless touchscreen tablets weighing less than 750 grams qualify for IPI (Excise Tax), PIS (Social Contribution Tax) and COFINS (Federal Contribution Tax) incentives. 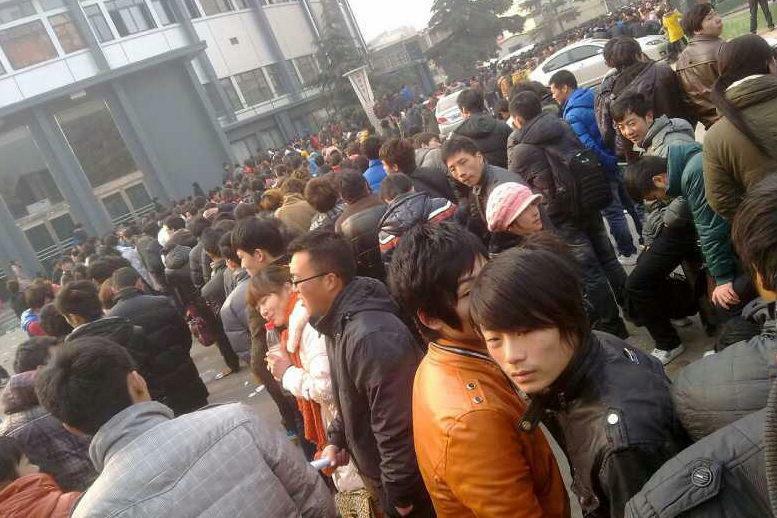 Meanwhile, thousands of people reportedly lined the streets outside a labor agency located in the Chinese city of Zhengzhou last night hoping to land a job at one of Foxconn's local factories. The company is reportedly working with the city of Zhengzhou to double the size of the workforce at its facility there ahead of the next iPhone launch, recruiting an additional 100,000 employees. Word of Foxconn's increased investment in Brazilian tablet production arrives on the heels of a report from market research firm NPD which predicts the worldwide tablet market to explode to 383.3 million units in 2017 as the portion of tablets purchased by customers in emerging markets increases. Update: A Foxconn representative declined to confirm its Brazilian expansion plans to Economia, calling the report "pure speculation."